Stuart Beaman, a British national who’ll be continuing the keeper’s training has arrived at the CCC. We are very excited to have him on site. 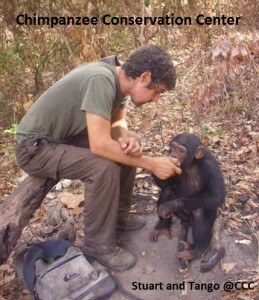 He’ll also help with chimpanzees’ integration, especially our adult and sub-adult males in Ced’s group.